Forgot your password? No need to worry! You can easily reset your password on Creatubbles. In this article, you will find the instructions on how to reset the password for over 13 years account connected to an email address. If you are under 13 years and you have trouble logging in to Creatubbles or wish to change your password, please ask your manager to help you. 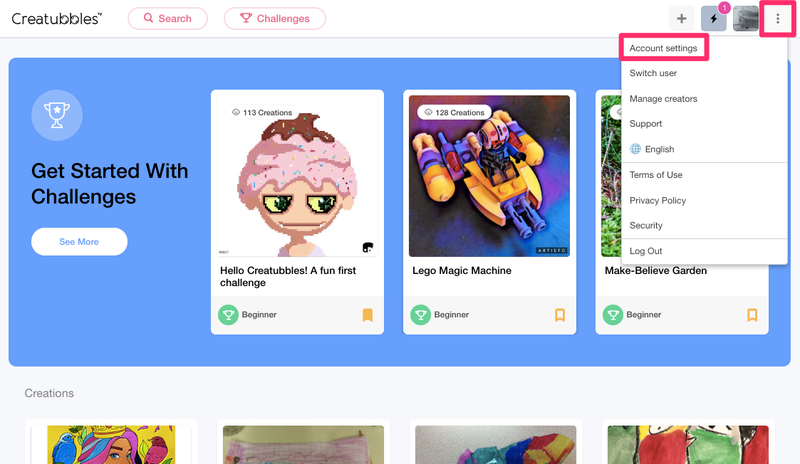 If you are looking for instructions on how to reset password for your child or students, please refer to the article Set up / change password for managing creators. If you remember your password but wish to change it, you can log in to your computer and set a new password from the Settings. 1. After logging in to creatubbles.com, click on the three dots Settings menu at top right corner and click "Account Settings". 2. Click on the pencil icon next to "Password". 3. 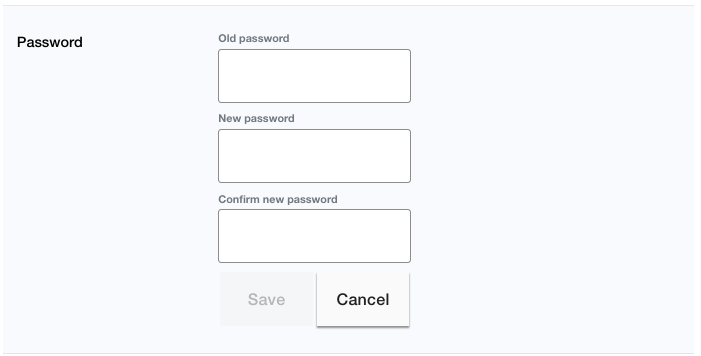 Type in the current password and the new password, then click "Save" to update your password. Please contact us at support@creatubbles.com for any questions you may have.